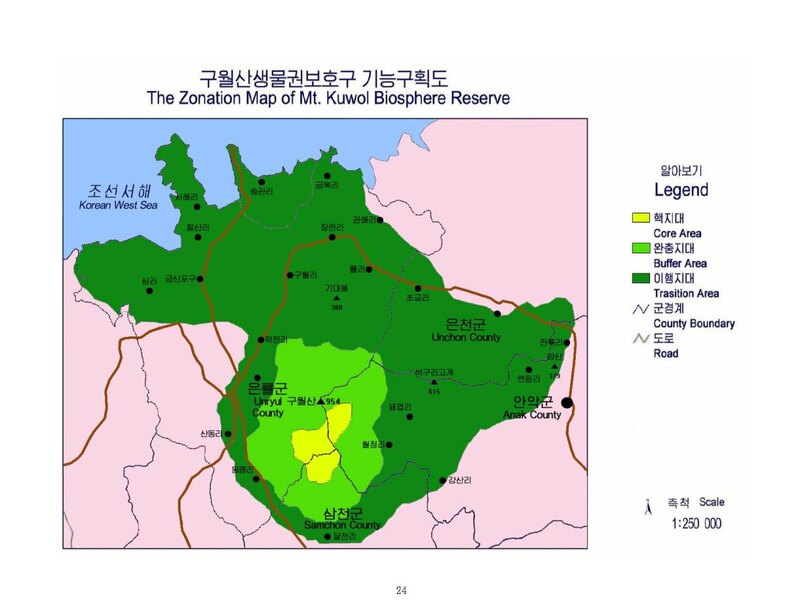 The Mount Kuwol BR, situated on the west coast of the DPR Korea and 100 km south-west of Pyongyang, consists of a 954 meter-high mountain, adjacent coastal wetlands, lagoons and river estuaries, and agricultural areas. Both the core area and buffer zone are part of the Mt. Kuwol Nature Reserve.